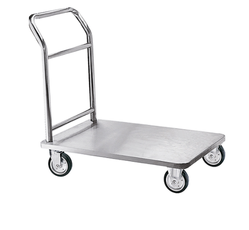 Backed by skillful and qualified professionals, we are providing a broad assortment of Luggage Trolley. 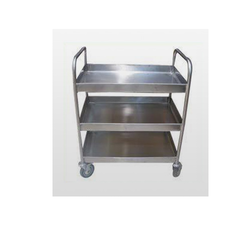 We offer an extensive range of Kitchen Utility Trolleys that are widely demanded for various applications. These increase the total surface area of the kitchen so more work can be accomplished when the need arises. These can be easily moved from one place to another as per the suitability of user. These are widely used in domestic as well as commercial kitchen in various restaurants and hotels. 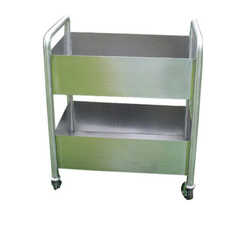 Being a noteworthy business enterprise, we are readily indulged in presenting to our customers SS Dish Trolley.